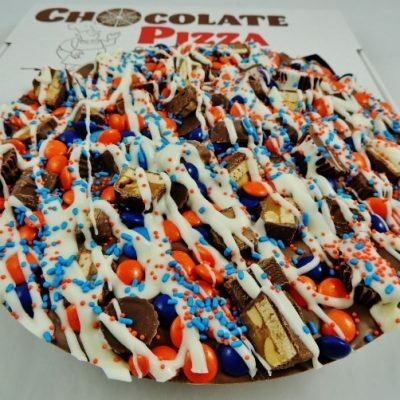 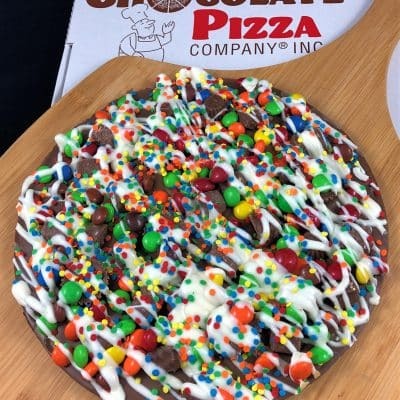 For those who believe that you can never have too much of a good thing, Chocolate Pizza Company created the Candy Avalanche! 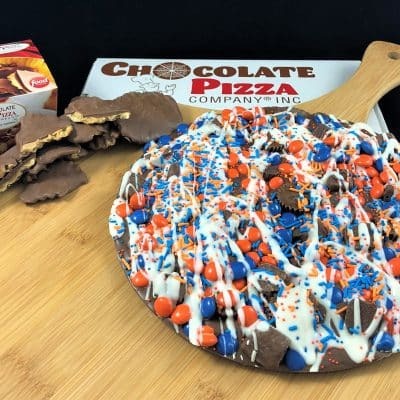 Think of it as a “supreme” pizza – loaded – with the works – overwhelming your taste-buds with all things chocolate (and a few things peanut butter). 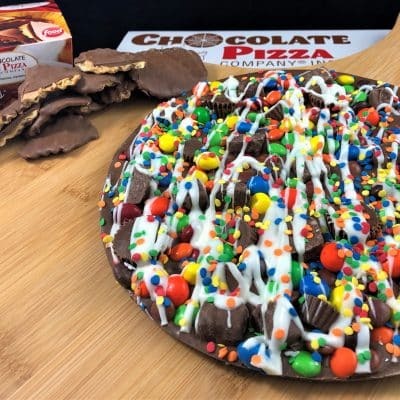 Candy Avalanche Chocolate Pizzas take two hands to carry. 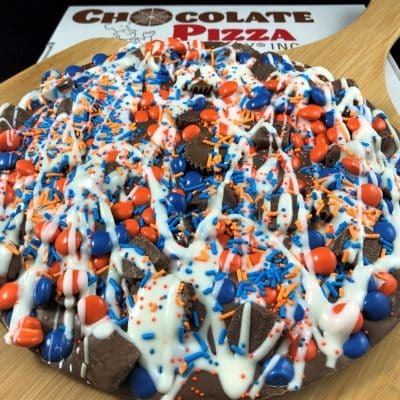 We’re talking maximum “wow” factor. 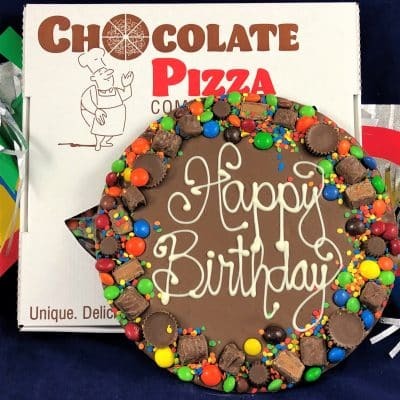 Our chocolatiers start with gourmet milk or dark chocolate, blend in our homemade English toffee, pour it in a pizza pan and then pile on colorful chocolate candies, lip-smacking peanut butter cups and other popular candy favorites. 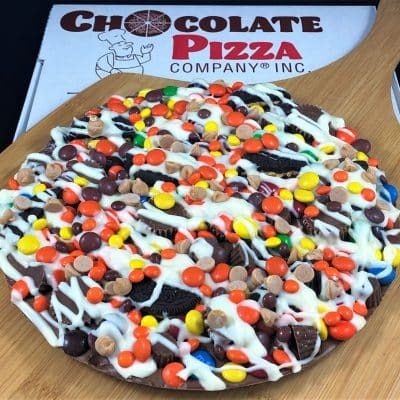 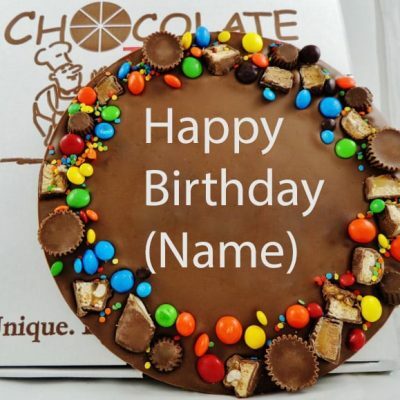 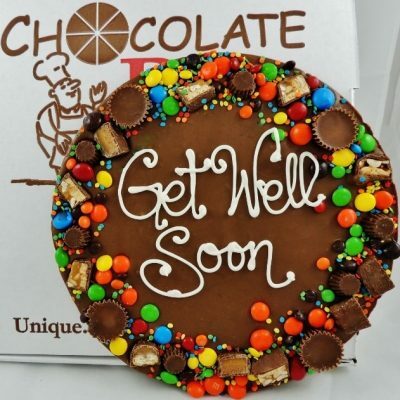 A regular size Chocolate Pizza is about 10″ in diameter and a large size is about 12″ in diameter. 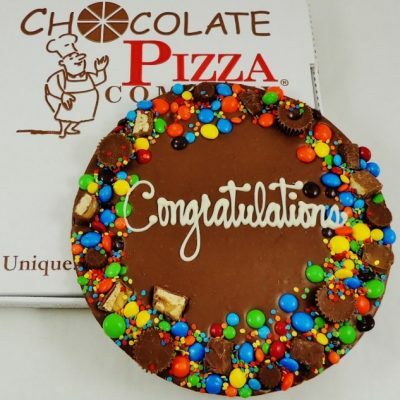 We do the same for the border of those hand-written specialty Chocolate Pizzas. 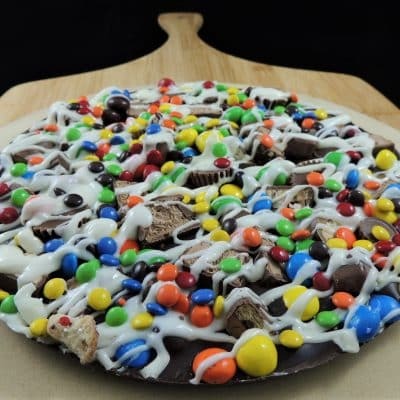 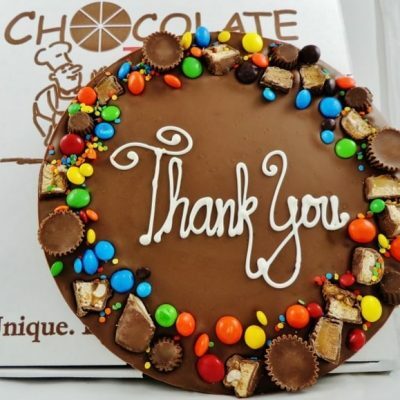 Candy Avalanche Chocolate Pizzas are the titans of our line-up – so choose your size, flavor (milk or dark chocolate), combo option (you can add our famous Peanut Butter Wings), bow and a gift note and then relax – you just hit a home run in the gift-giving game!